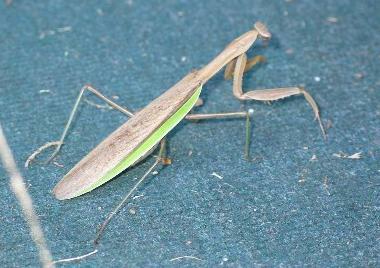 Is this a praying mantis? Just came home from the grocery store, spotted this thing on my front porch, decided to take a picture. Some of my friends are afraid to have their pictures posted on the Web, but this little guy is fearless! By the way, this page is the 200th entry since I switched my website to photoblog format. Here is a link to the 100th entry.